When it comes to the most improved player in college basketball, one could make a pretty fair argument for UNLV forward Tyrell Green. Last season Green scored a total of 14 points in eight games for the Runnin’ Rebels, seeing the floor for just 39 minutes of action. Monday night at the Thomas & Mack Center, with his team floundering a sea of turnovers, the 6-foot-7 senior from Toronto once again came to the rescue, tying his career-high with 23 points, including a 3-pointer with 1:10 remaining that proved to be the game-winner as UNLV (7-5) pulled out a sloppy 68-61 victory over Southern Illinois (6-6). Green finished 9-of-13 from the floor, including 4-of-5 from 3-point range, and also grabbed seven rebounds in 36 minutes of action. His final 3-pointer broke a 61-61 tie and triggered a game-ending 7-0 run by the Runnin’ Rebels. For the season, Green is second on the team in scoring (14.1) while shooting 50.4 percent from the floor, including 25-of-50 from 3-point range. Junior guard Jovan Mooring sealed the win for the Runnin’ Rebels after Green’s huge trey with a steal and layup, then added two free throws after garnering a rebound and getting fouled following a Mike Rodriguez miss with 30 seconds to go. Mooring was just 1-of-5 from the floor and scored four points but had six assists and two steals to go with six rebounds. UNLV won despite committing a season-high 23 turnovers that resulted in a 22-12 edge in points off turnovers for the Salukis, who finished with 13 steals. The Runnin’ Rebels overcame the miscues by shooting 57 percent (25-of-44) from the floor and dominating the boards, finishing with a 36-22 rebounding edge. 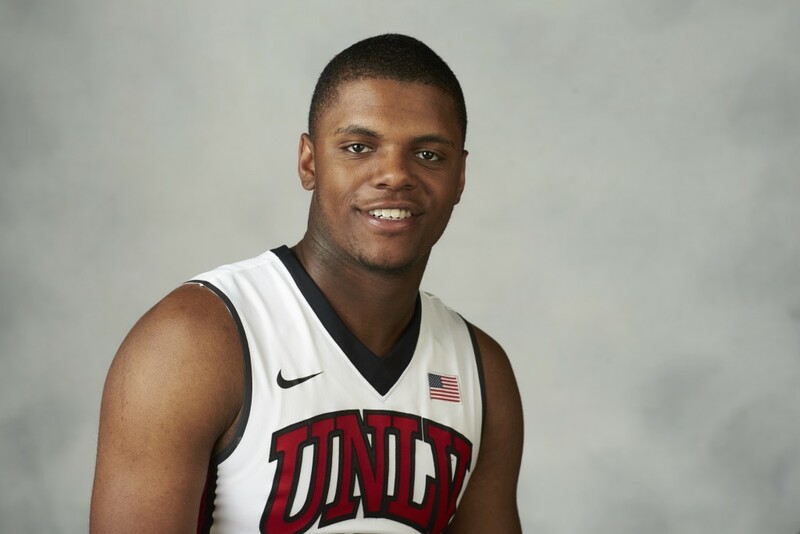 Guards Kris Clyburn (11) and Jalen Poyser (10) also scored in double figures for UNLV. Rodriguez and guard Armon Fletcher each scored 15 points to lead SIU, which made just two of its final 13 shots. The Runnin’ Rebels return to action on Thursday night at 6 p.m. when they host No. 3 Kansas (10-1) at the Thomas & Mack Center.